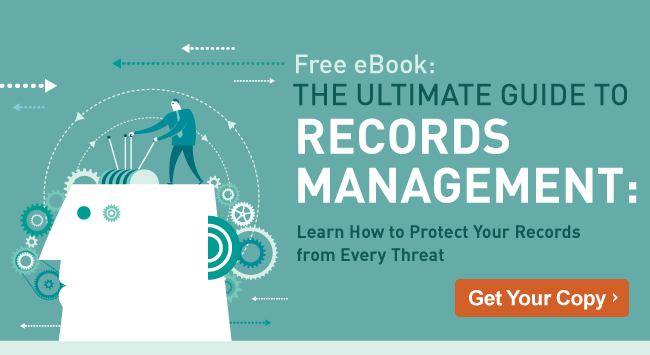 Have you just taken on the records manager role at your organization? With all the regulations that need to be adhered to records management may seem like a daunting task. Before you start managing all those records, here are four bad pieces of advice about records management system to avoid. 1. Every document and email is considered a record. Not every document is considered an actual record that must be retained for a period of time. If a document has nothing to do with your organization’s business, such as information used for reference (like an article copied form a journal) or personal communication (such as an email discussing plans for lunch), then it can be destroyed immediately. 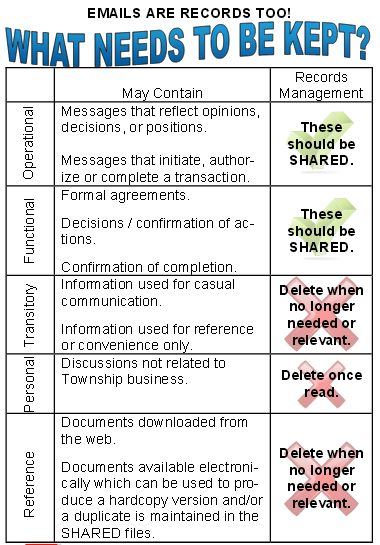 To help employees tell the difference between documents that need to be archived and those that need to be destroyed, the Township of Springwater in Ontario, Canada, came up with a Records and Information Management Quick Reference Guide. Feel free to adapt it for use at your organization! For a more in-depth overview of what counts as a record, check out this blog post. 2. Every record should be kept indefinitely. Though this is true for certain records, the majority of records only need to be kept for a certain period of time before they are destroyed. This is referred to as retention and destruction. Keeping records forever when they can be deleted consumes valuable resources that can be used elsewhere, such as physical space that can be used for offices. An electronic records management (ERM) system can help you manage records by notifying you when records are allowed to be destroyed. This helpful video will tell you more! 3. Only paper records are valid by law. In most countries, records do not have to be kept on paper to be considered compliant. Two of the different records management certifications that are available include DoD 5015.2 and VERS. As long as an ERM system is certified, physical records can be destroyed. 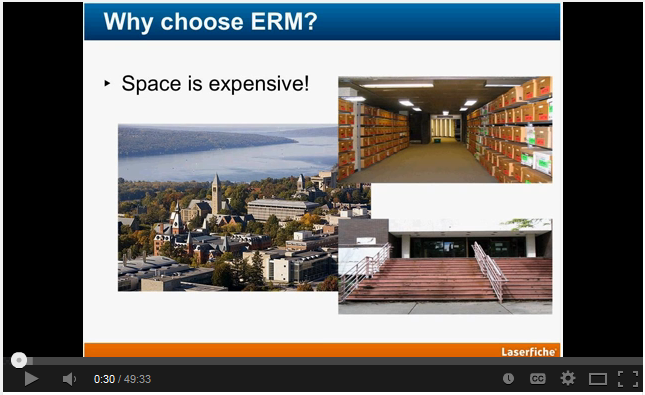 An ERM system has many advantages, such as reducing the need for physical storage and preventing records from being destroyed in the event of a natural or manmade disaster. 4. Once a record becomes inactive, no one will need to access it again. Just because a record has become inactive (is no longer referenced on a regular basis) doesn’t mean that nobody will ever want to see it again. Even records that have been eligible to enter retention, known as cut-off, will sometimes need to be accessed. For example, the HR department might get a call about a former employee who applied for a new job or the legal department might need a copy of an expired contract as evidence in a case. Also, when an auditor comes calling, he may request to see any record. 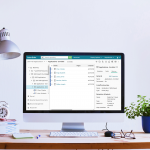 An ERM system makes finding the appropriate records quick and easy. Read about how Sanitation District #1 improved auditing by implementing an ERM solution.